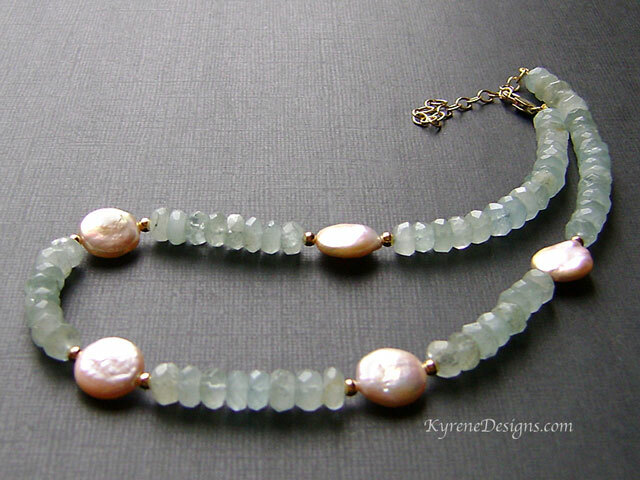 Aquamarine faceted gemstones are placed with gleaming natural colour apricot coin pearls, and accented with rich gold vermeil beads. Matching earrings available by request (ie Reef apricot coin pearl earrings but with gold vermeil). Length: 18 inches. 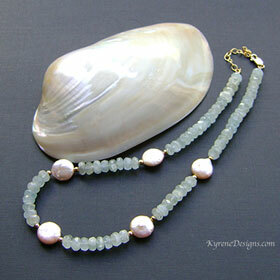 Pearl 12 mm; gemstones 3x8mm. 14ct goldfill lobster clasp, plus 2" extender.